Valet parking available for $16! 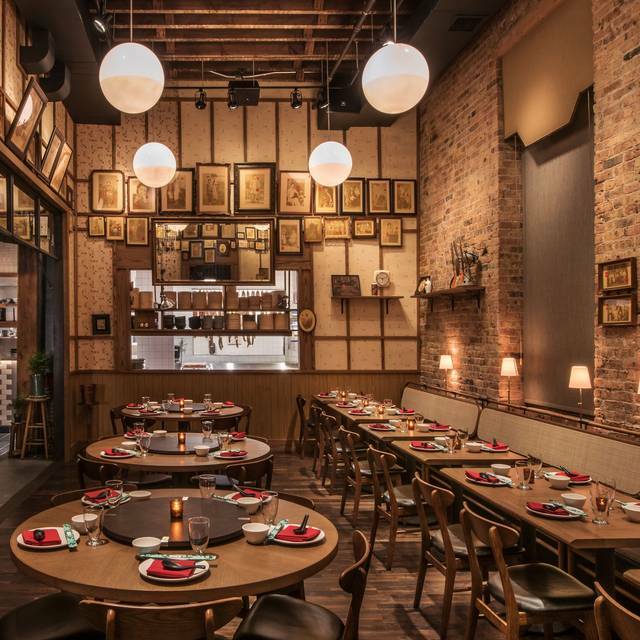 Chef Stephanie Izard brings her version of reasonably authentic Chinese food to Chicago's West Loop. 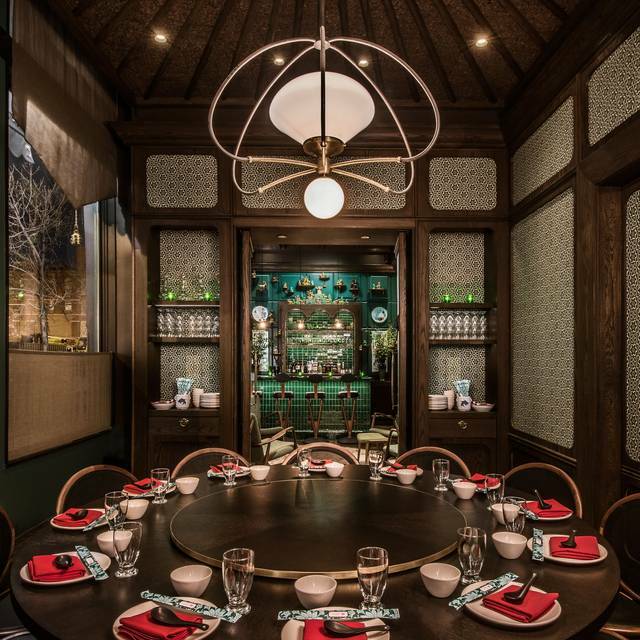 Duck Duck Goat is Chef Izard’s first Chinese-American restaurant and third venture with Boka Restaurant Group and features hand-pulled noodles, house-made dumplings, wontons, spring rolls and more, ensuring no diner leaves hungry—or without takeout for tomorrow. Join us for our dim sum brunch every weekend starting at 11am! Now featuring a rotating family style tasting menu! 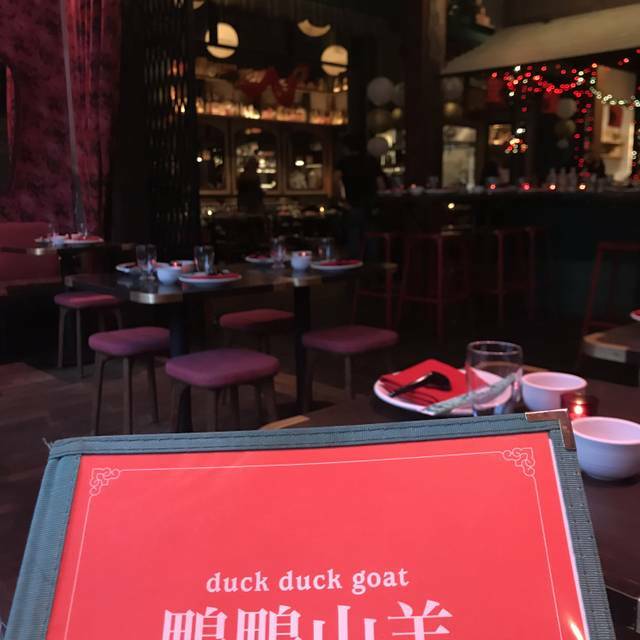 Duck Duck Goat is a high-end Chinese restaurants that's always fun with excellent and interesting food. Beautiful ambience but disappointing food. It was overly processed, and the beef broccoli was dripping with liquid smoke and contained very little beef. The Pecan chicken was delicious. The other 6 items ordered by our party of 4 were disappointing, and many of our choices were left on the table barely touched. Everything was amazing!! I’ll definitely go back!! 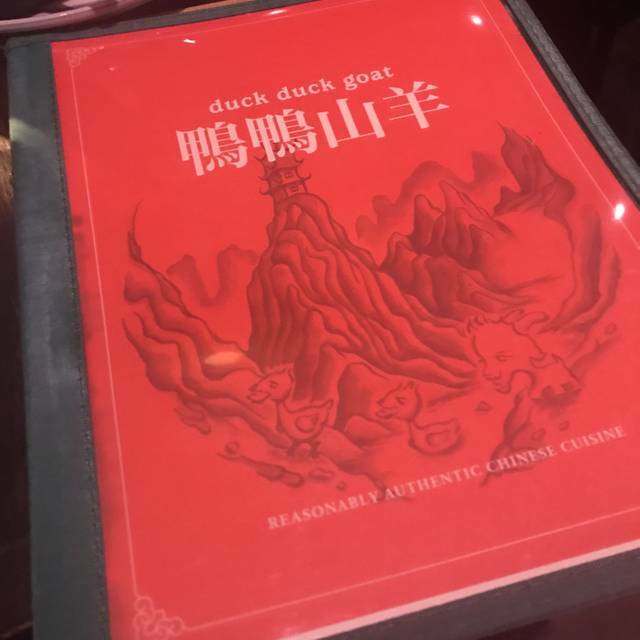 Very impressed by Duck Duck Goat. The space is very cute and has great ambience. We tried a variety of dishes and all were really good. Looking forward to going back soon! Our server was incredible! She was very kind and brought over small glasses of champagne, free of charge, because she could tell one of our friends was sad and having a bad day. We greatly appreciated the gesture. Moms birthday celebration. We all had the best time! We have been to the other 'goat' restaurants in Chicago, and this one is far and away our favorite. 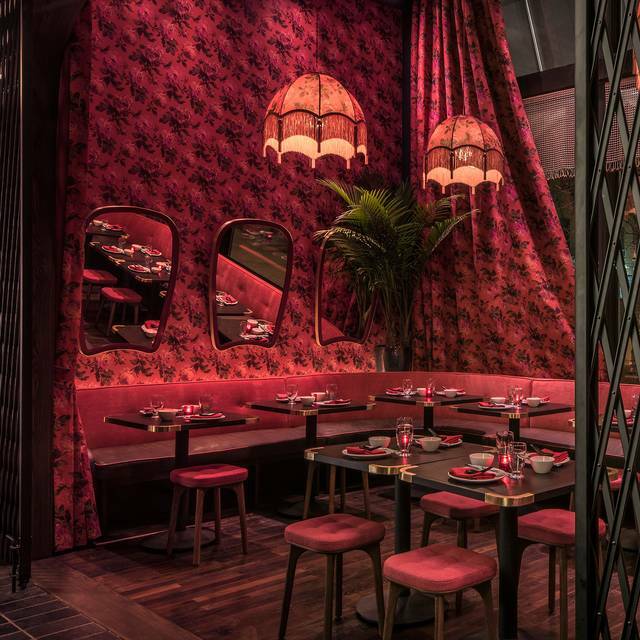 A good take on Asian cuisine, in a lively and fun part of town. The food and our server was outstanding. He answered our questions enthusiastically. He was efficient and did everything with a smile. Really great restaurant. Good location close to the train station, great and unique dishes. Difficult to get into and a little pricey, but worth the time and expense. Great place, especially for a group of 4 or more. Family style dining, large portions. Always have an amazing experience here. Jonathan was our waiter and he pleasantly guided us through the menu. My fiance and I have been here for dinner many times and we brought our parents there for a celebratory meal. Appreciated the fact that they were able to seat us at a different table than original (due to the chairs and lack of backs). Really appreciated that. The food and drinks were fantastic as always and we will most certainly be back again soon. 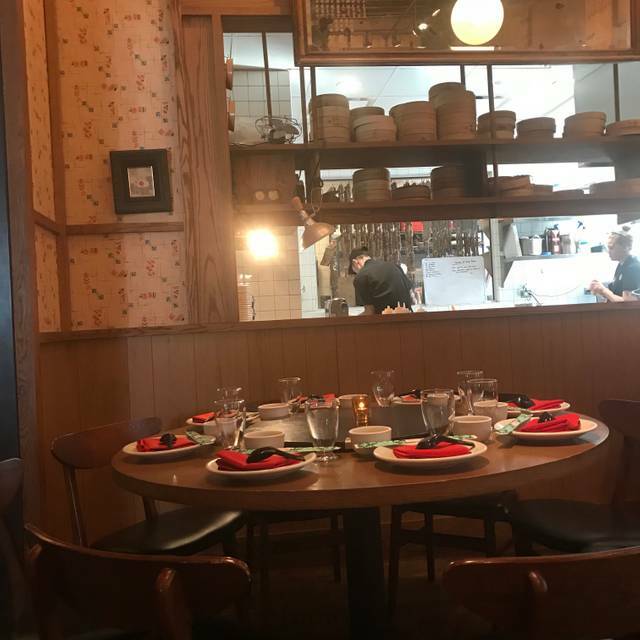 Fantastic date place and for those very special occasions, but if you're looking for an every day wide dim sum menu with dim sum pricing or an easy reservation for the same quality, just go to MingHin for traditional dim sum. Took my boyfriend for a late dinner. Was told we would have to wait a few minutes for our reservation but as soon as we went to the bar the host found us. Service was great, cocktails were tasty and the food was incredible and came out quickly. We’ll definitely be back! Come here for amazing food and a beautiful restaurant. Our server was fantastic, attentive, and had great suggestions for a family style dinner. All of our selections were loaded with flavor and cooked to perfection. Exceeded my expectations. We enjoyed the delicious cocktails, a couple apps & split the Peking duck which was awesome. Added a bowl of jasmine rice which went great with the duck. Always love Mrs. Izard’s cuisines and restaurant soundtracks. Dinner was amazing. Each dish they brought out was better than the one before. Our favorite was the beef slap noodles. There were so many dishes we want to try, so we will definitely go back soon. Great for a group. Great service with friendly and helpful waiters. Great place for Sunday brunch. Excellent service and a fun menu. Ordered 4 dishes to share, and they were all phenomenal. The standout star was the Xiao Long Bao. This was by far my favorite meal at a Girl and Goat restaurant. So much fun! Had a blast and wait staff was incredible! Food was amazing, service was fantastic and the music was on point. Could not have picked a better place to celebrate my birthday. Great staff and great food! 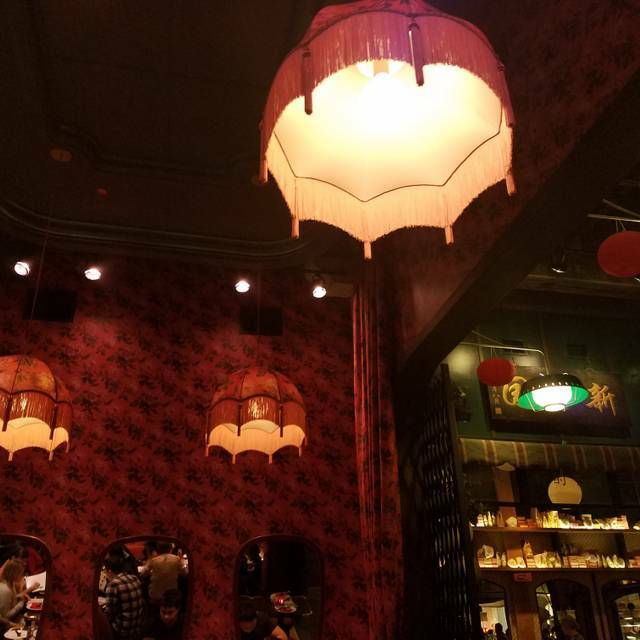 Very cool and fun place to eat. Really exceptional food and nice attentive service coupled with a noisy but very vibrant atmosphere. The only downside was that we were kept waiting over 30 minutes for a table despite having reservations - not good!!!! You will never regret going here, it is a must for any visitor of Chicago. Get the duck hearts, you won’t be sorry! In town for a work conference and was excited to experience one of Chef Stephanie Izard’s creations. This place did not disappoint! We left our menu selections up to our server, Katherine, and the meal was incredible! We will definitely be back! My fav restaurant in Chicago! I love bringing friends here. The food was amazing. Unfortunately, the service was not good. It’s not a new a restaurant so I didn’t expect service to be an issue but it was. Maybe there is a lack of communication among staff. Our food came out at all different times, there was only 2 of us. We both ordered an appetizer and an entree. Each time there was at least a 10-15 min wait between each other’s food. So as I was finished with my course she was still waiting for hers. The people next to us had the same issue and decided on sending there food all back after waiting to long. The if the server was a little more attentive or apologetic it wouldn’t have been do bothersome. But I had to waved down another waiter to order my entree BC the waitress never came back, never asked us how our food was, or brought the check. Which we had to ask another waiter for. Very disappointing but the food was still outstanding though. Based on the prices and recommendations, we had hoped for more. The fermented vegetables were monochromatic, green beans were flavorful but rigorously cooked and the Sichuan Chicken was far too heavily salted and fried. They had a vegan menu which was a plus and the vegetables with mushrooms were the highlight. After voicing unhappiness with the Chicken, our waitress did not become a shrinking violet, she handled it well and never faltered. While it remained on the bill (which was appropriate because I had been warned that it would be "crispy") she sent out 2 nicely prepared desserts. We did not get the annoying visit from a floor manager apologizing so often endured, she handled it professionally on her own. 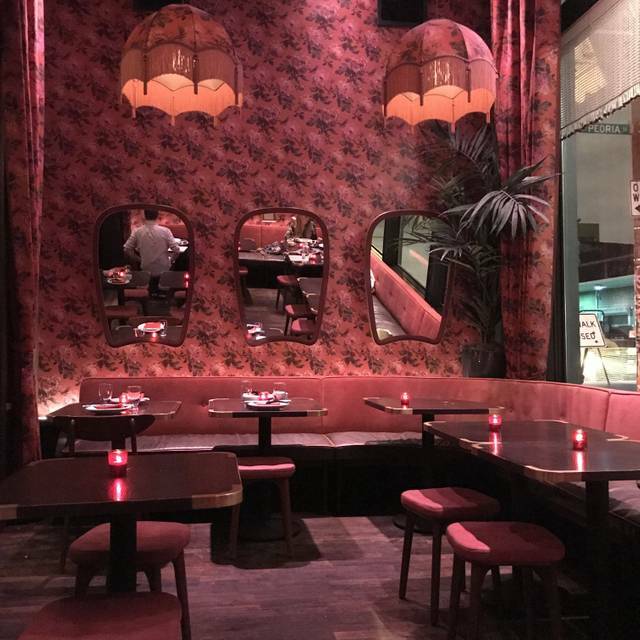 The space was sharply appointed and not as loud as one would expect from a full dining room. The cocktail Mezcal Mai Tai was well balanced and the wine was at the proper temperature. The small list had enough of interest to pair with the food. Overall I would recommend the restaurant with caveats to menu choices based on experiences with non styled versions of asian cooking. 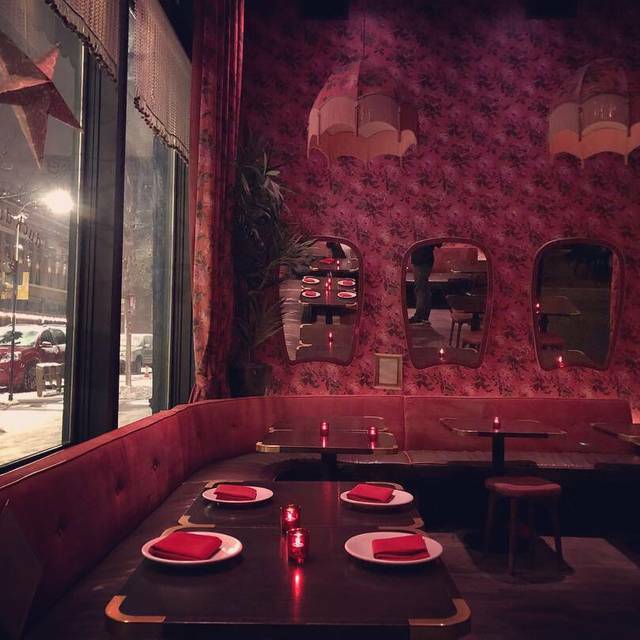 The best Sichuan cuisine in the city. Spectacular from the first course to the last...and the Jian Bing thing was among the best desserts I’ve ever consumed.